We are devoted to providing the highest quality of care and wish to make your experience as comfortable as possible. Our staff understands the importance of being well-informed. Please do not hesitate to ask questions. Rachel and Tina are dedicated to Dr. Menick’s patients and providing the highest level of service. The cost of surgery will be provided to you after consultation and prior to the procedure. The cost of reconstructive surgery includes hospital operating room, possible overnight hospitalization charges, anesthesia, and the surgeon’s fee. The patient is responsible for these costs. Dr. Menick cares for many patients with extremely difficult problems that other surgeons may not feel comfortable treating. Patients with less complicated defects or with poor results from past repairs, performed elsewhere, also prefer to see Dr. Menick because of his extensive training and experience as well as superior aesthetic results. His goal is to restore each patient to his or her normal appearance, not simply to get a wound healed or a “hole” filled with a skin graft or flap. Whether the problem is large or small, achieving the best possible result is our objective. Recreating the skin quality, 3D contour, and landmarks of the attractive and normal face requires considerably more preoperative and postoperative evaluation, operative time, skill, and experience, than traditional techniques. Unfortunately, commercial insurance and Medicare do not reimburse for this extra skill and time-consuming effort. If Dr. Menick rebuilt a nose for a new patient every day, 365 days a year, insurance reimbursement would barely cover his professional office expenses. Therefore, our office is not a provider for any insurance and does not accept insurance reimbursement as full payment for care. You may be able to use out-of-network commercial insurance benefits. If you do not have out-of-network benefits, you may request that your insurance carrier allow you to be treated by Dr. Menick under special circumstances because of his expertise. Our office can help you make these arrangements and obtain pre-authorization. Under these circumstances, your insurance may pay for the hospital, anesthesia, and part of Dr. Menick’s fee. You will be responsible for the difference. Dr. Menick is not a Medicare provider. Medicare patients may use Medicare to cover hospital, lab, and anesthesia costs but Medicare will not pay for any part of Dr. Menick’s surgical care. The patient will be personally responsible for the payment of Dr. Menick’s fee. According to law, neither you nor he can bill Medicare for any part of his care and Medicare will not reimburse the patient for his surgical care. Dr. Menick’s primary professional interest is helping patients with facial injury. He will consider adjusting fees relative to a patient’s ability to pay. 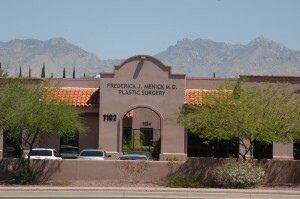 Please discuss your personal situation and concerns with the office staff or Dr. Menick. Cosmetic surgery is performed to reshape normal structures of the body to improve appearance and self-esteem. Cosmetic surgery is not covered by health insurance. Hospital, anesthesia, and surgeon’s fees are provided prior to your surgery.